Years ago, I believed that feral and community cats lived a miserable existence and it was a kindness to "put them out of their misery." I described feral cats as having to live a psychotic existence, largely based on seeing them in captivity. I completely bought that they died terrible deaths due to starvation, fan belt injuries, grave infections, and worse. When challenged by trap/neuter and release (TNR) advocates, I had to take a long, hard look at my beliefs. And what I found didn't match my preconceptions. For example, if captured feral or community cats appeared "psychotic," that's no surprise. They were terrified and suffering severe stress. And as someone pointed out to me one day, I probably saw the same number of fan belt and other injuries and infections among the owned, domesticated cat population. With that kind of logic, why wasn't I gathering up those cats on the off-chance they might get entangled in a fan belt or suffer in some other way? That got my attention. Above all, at my shelter we found that nearly 75% of feral cats and stray cats that we took in were in sound physical condition, of decent weight, and had good coats and healthy teeth. How could I continue to believe that killing these animals that were doing just fine, was acceptable? It wasn't then, and it isn't now. I still wasn't convinced that feral cats and community cats could do well in our northern climate in the Buffalo, NY, area. But that notion was challenged as well by the persistent "feral followers." So in 2002, ten years ago, I applied for a grant to do a regional summit on feral cat management and was delighted to receive funding. We brought in five speakers from groups working with feral cats in Massachusetts, Washington, DC, Oregon, Ohio, and Pennsylvania. Dozens of people from shelters, rescue groups, and the veterinary community, as well as local legislators, attended the summit. None were more reluctant learners than I. But I was there, and so I listened. It didn't take long to realize my mind was filled with bad information and I needed to wipe the slate clean and look at the data, the evidence, and the successful programs happening around the country...even in northern climates! Within two days the participants had outlined a TNR plan and formed a coalition to bring about a new approach to community cat issues, and I was on my way to researching and truly being knowledgeable about feral and community cats and their history with humans. 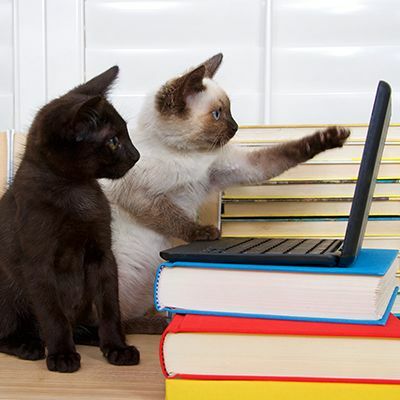 Cats have lived side-by-side with humans for millennia. Some think they are self-domesticated, choosing to live where humans lived because humans provided easy access to food. It was never a one-way street, though. Cats provided much more than they got. In fact, it can easily be argued that cats are man's most important friend in the animal kingdom. Their talent and extreme willingness to hunt rodents was a critical factor in mankind's ability to transition from hunter-gatherers to an agriculture-based society. Cats were so significant to mankind that many pagan religions were built around them. Cats were often considered deities, and this high status unfortunately led to extreme distrust, fear of cats, and demonization of cats by medieval church leaders in Europe. But the church did not stop by just demonizing cats, for centuries religious leaders called on the European populace to hunt down, torture, and kill all cats, eventually leading to the near extinction of cats in Europe. There is no question that the ability of the Black Plague to spread throughout Europe in 1348, killing over half of the human population, was increased because there were so few cats. The brown rat had lived in Europe for centuries before the spread of the plague, but with the cat population diminished, the rat population soared. 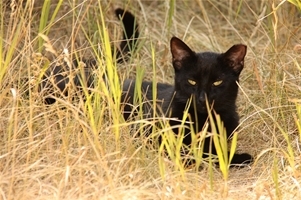 Just like the community cats of early civilization, community cats today continue to protect humans by being insatiable predators of rats and mice, insects, snakes and other species that can harm humans. And like their ancestors, community cats have found ways to take excellent care of themselves. But, unfortunately, like their European ancestors cats too often continue to be misunderstood and maligned. Throughout this country there is often agreement that cats should not be allowed to live on the streets among us, that cats should be rounded up and destroyed, that they spread disease and that they are dangerous. It is argued that cats are an invasive species and disrupt natural balance. This thinking does not take into account the wholesale slaughter of the native predators in the United States in the past 200 years. While domestic cats may be an introduced predator, bobcats, lynx, jaguars, cougars, ocelots, and jaguarondis all populated North America in our past. In addition to these wild cats, most predacious species in North America are nearly eliminated. With no native feline predators left in the United States, it's difficult to fairly evaluate the impact of this introduced feline predator. If you Google "stray (or feral) cat problems" you get nearly 3 million hits. Within those responses there are far too many "solutions" that are lethal for cats. "Set your dogs on them," "poison feral cats," and ads for nuisance animal trappers are plentiful. Other hits include articles about government animal control agencies unable to eliminate the problems of too many cats through trapping and killing programs, and yet these programs continue to be prevalent in communities. Interestingly, there are literally hundreds of thousands of hits concerning the benefits of TNR programs in reducing or eliminating the number of community cats and we all know of the many studies done that indicate TNR programs can be very successful in controlling the number of feral cats in a community. So why is it so difficult to get our local governments to understand the benefit of a well-run TNR program? It has to do with financial concerns; neutering and vaccinating may seem expensive, but there are expenses to trapping and killing community cats, too. Additionally, since the trapping and killing method has proven to be totally ineffective, resources used to round up, trap and kill cats are being wasted. And as I discovered when I took a close look at this approach years ago, trapping and killing cats is not humane. If it were any other species - squirrels for instance - and the government, or shelters, were trapping squirrels because they might be annoying someone and promptly killing them, I daresay there would be more outrage than we see about the killing of cats for simply living successfully. Controlling the population of community cats through lethal methods just does not work. For centuries European church leaders tried to eliminate all cats, and persecuted, tortured and killed those that harbored or fed cats. Still, humans continued to feed the community cats, even putting their own lives in danger by doing so. Recently, prison guards who were feeding feral cats were told that if they continued to do so they would be fired. The guards found very clever ways to conceal what they were doing. But even losing their jobs would not stop these men from feeding the cats. If loss of life or loss of a job is not enough to keep people from feeding community cats, it is unlikely that any law or ordinance will stop this practice. It's been ten years since our Feral Cat Management Regional Summit. While there are still thousands of unvaccinated and unsterilized feral and community cats in Erie County, there is no question that progress has been made. Initially what we learned led to a decision on the part of my Board of Directors to no longer accept feral cats. Prior to this decision, we killed hundreds of feral cats each year. We have thankfully come to realize that we were wrong and killing feral cats could not be further from our mission. Along with the decision to not accept these cats, we committed to seeing a feral cat group form. Within a short time a new organization, Feral Cat FOCUS, was formed to begin the ongoing work to help these cats. The SPCA assisted in providing space needed to run sterilization clinics for ferals until we could collectively accomplish our next community goal, to have a sterilization clinic built and operating in our community. Dedicated volunteers accomplished that by July 2008. 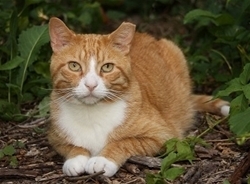 A huge boost to the sterilization of feral cats came in 2009 when Maddie's Fund® provided a community grant to the animal welfare partners in Erie County that included a grant to spay and neuter cats, including ferals. In the first year Maddie's® Spay/Neuter Project in Erie County paid for 1,362 sterilizations of community and feral cats, and in the second year 1,650 were sterilized. There are three more years left in this project, and the help given by Maddie's Fund will result in a significant decrease in the birthrate of cats in our community. Personally I have entered the fight by trapping the occasional feral I see in my neighborhood, having it sterilized, and putting it back where I found it. I don't know whether the cats I have had sterilized live in organized colonies or if they just live on their own, but what I do know is I see these clipped-eared cats, running along my fence, climbing on neighbor's garage roofs, sunning themselves on winter days in a chair on my porch, and I know it is the right and ethical thing to do. No one organization, rescue group, or governmental animal control agency can solve the issue of overpopulation in the feral and community cat populations. Collectively we will need to fight for cats, change the perception of community cats, and find resources to provide TNR services. There is plenty of information available for all of us to make good arguments to our community governments about the benefits of TNR and the benefits of community cats. If we do not provide the needed leadership to protect the cats in our community, the results won't be that cats will face extinction, (we know they are far too good at survival to be totally eliminated), but they will continue to suffer and die in numbers that are simply not acceptable. The Dark Ages have long since passed, but our ability as a community to turn our backs on cats that are sometimes shot, sometimes poisoned, sometimes trapped and killed in animal shelters is not that different than our behavior during that time. 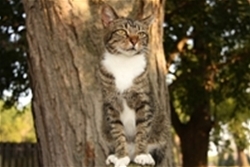 We possess excellent arguments to protect cats through effective TNR programs. As animal welfare professionals, it is time for us to use them.